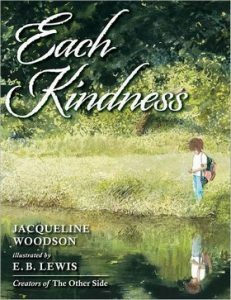 Children’s book authors and publishers know the impact that a book about kindness can have on a child. 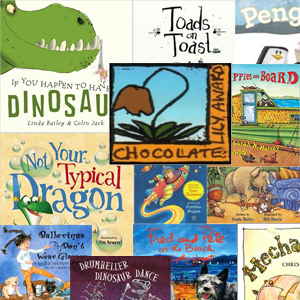 We are a fortunate society to have so many books about good acts available to us. 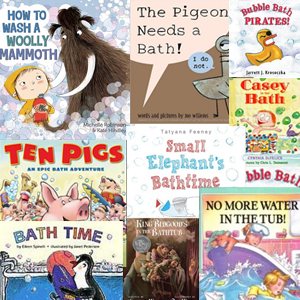 It is our job to keep them available and read them to our children. Put them in your classrooms, libraries, and homes. 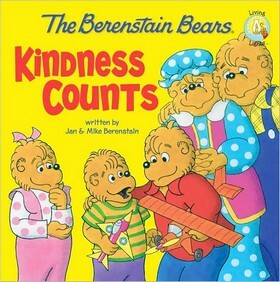 When kindness is a priority, the result is a more compassionate world. 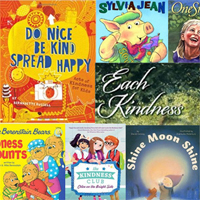 In this book are lots of acts of kindness that kids can do to spread a little joy — with a side order of mischief and magic. 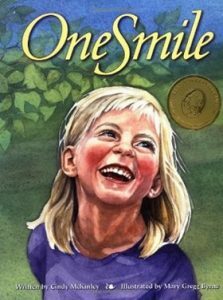 When a child smiles at a stranger, she sets off a chain of kindness that eventually comes full circle. 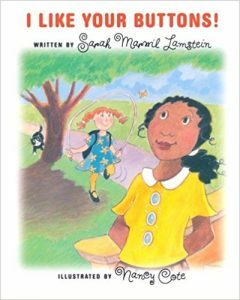 When a little girl compliments her teacher about the buttons on her outfit, it starts a chain reaction of goodwill, good deeds, and thoughtfulness throughout the day. 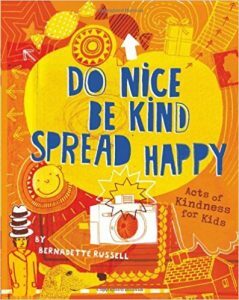 Yes, bucket filling is the moment by moment choice to be kind and caring. 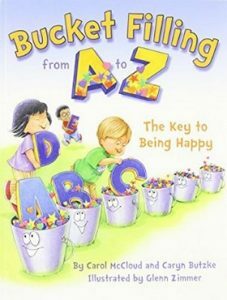 Teaching and encouraging children to be “bucket fillers” is one of the greatest gifts you can give to them. You give them the key to being happy. 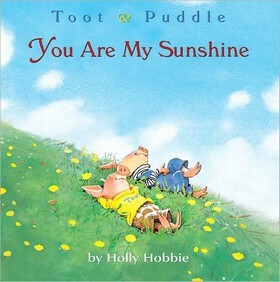 This book of rhyming verse uses the letters of the alphabet to help young and old see the many, simple ways that they can fill buckets and fill their own buckets in return. 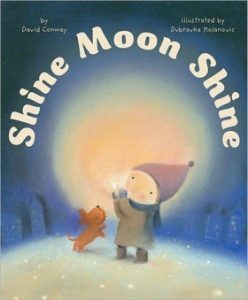 When the moon one day falls from the sky and lands on the roof of a skyscraper, it takes a young boy named Owen to sit with the moon and keep it company to help the sad and lonely moon rise again. 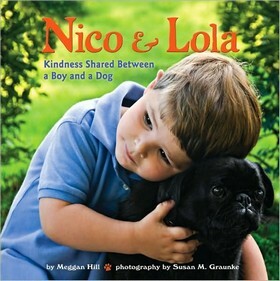 Young Nico searches for ways to be kind while caring for his Aunt Sue’s dog, Lola. 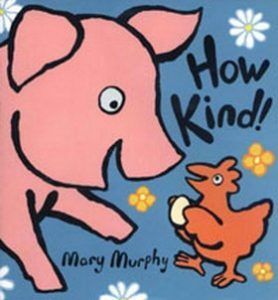 When Hen gives Pig an egg, she sets off a chain of events that brings kindness to all of the animals on the farm. 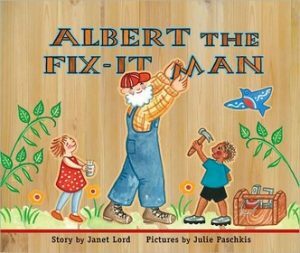 A cheerful repairman fixes squeaky doors, leaky roofs, and crumbling fences for his neighbors, who return the kindness when he catches a terrible cold. 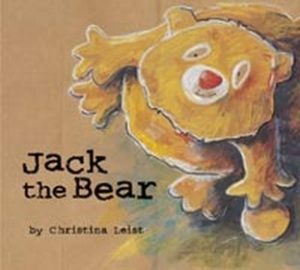 When Brainy Owl tells Nosy Fox that Jack the bear is making the world a better place by sitting under a tree sharing his honey with Grumpy Squirrel, Nosy Fox wonders how it is that a humble bear can make a difference in the world. 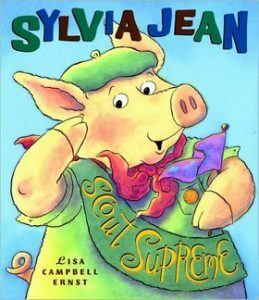 Sylvia Jean disguises herself in order to assist a neighbor who does not want her enthusiastic help, but she still might be the only one in her Pig Scout Troop who will not earn a Good Deed Badge. 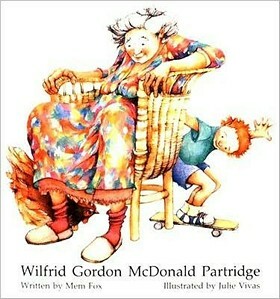 A small boy tries to discover the meaning of “memory” so that he can restore that of an elderly friend. 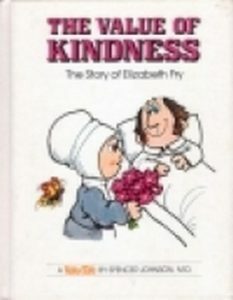 Discusses the work of the English woman whose pioneering efforts in improving the lot of prisoners were based on the premise that prisoners’ behavior would improve if they were treated more kindly. Brother Bear’s act of kindness is repaid when he shares his knowledge of airplane modelmaking with young Billy. 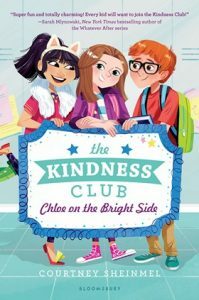 Rejected by the cool girls club, fifth-grader Chloe Silver, new in town after her parents’ divorce, forms a different type of club, with offbeat Lucy Tanaka and nerdy Leo Barish, that tests out different acts of kindness on classmates.